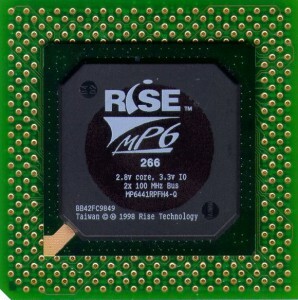 Back in 1998 a fabless CPU company introduced the Rise mP6 x86 CPU running at 166MHz Later versions ran at up to 233MHz and were Performance Rated at a somewhat generous PR300. Rise was a bit late to the party of desktop x86 designs, and had somewhat lackluster performance. In the 90s they had to compete with Intel, AMD, IDT, and IBM/Cyrix. VIA, who later bought IDTs Centaur (Winchip) division, as well as Cyrix from National Semiconductor was an investor in Rise, as they were wanting an entry into the CPU market as well. The mP6 used 16K of L1 cache and an 8 stage pipeline capable of executing 3 integer instructions per clock cycle. This at a time when most CPUs had 32K or even 64K of L1 cache, and better branch prediction crippled the mP6. It was used in set-top boxes and other low power type applications. Rise licensed the core to ST Microelectronics who used it in set-top SoCs. By 1999 Rise was losing money and losing sales. In most areas this would have been the end, Rise would be a foot note in history (a smaller one then they are). However SiS, known for their value chipsets and budget graphics cores, bought what remained of Rise and the mP6 core. SiS wanted to develop an embedded CPU out of the mP6, and having a lack of experience took a while to make it happen. In late 2001 they had what they wanted. 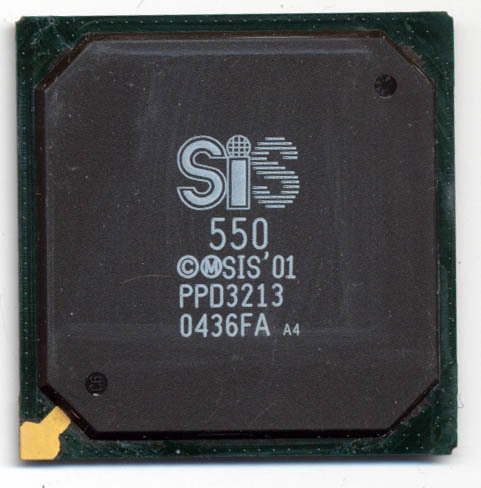 The SiS 550 was at its core a 200MHz mP6 but now integrated audio, video and IDE controller all at 2/3 the power requirements of the original. The SiS550 found a home in several Thin Clients made by Neoware as well as various internet appliances. 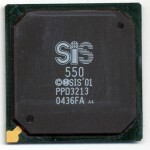 We wrote about the SiS550 series many years ago here. DM&P (aka Jan Yin Chan Electronics) eventually took over the design from SiS. 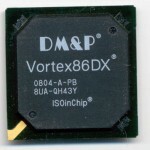 It is DM&P who took the lowly mP6 design into the powerful embedded CPU it is today. The pipeline was reduced to 6 stages, and onboard 256k L2 cache was added. The L1 cache was doubled to 32K, and the clock speed was increased to a rather quick 1GHz. 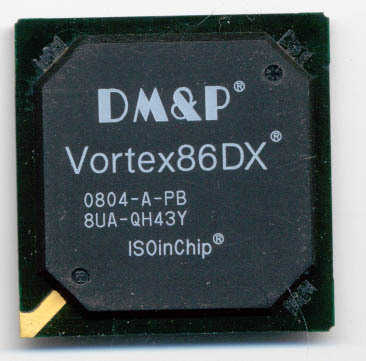 The Vortex86DX is a fully capable x86 processor. It is perfect for very small PC applications and embedded designs where x86 code is required. The PMX-1000 can run at up to 1GHz and adds IDE support, graphics, and HD-Audio (much like the original SiS550. 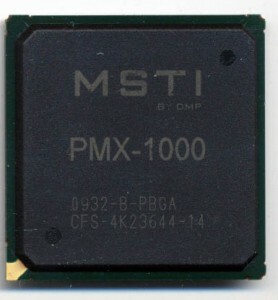 While technically an embedded CPU the PMX-1000 is fully capable of running Windows and other x86 programs. eBox (part of DM&P) makes many small form factor, fanless, and sealed PCs based on it. It runs on a rather small 2.2Watts at 800MHz, a third the power, and 4 times the speed of the original Rise mP6. The original Rise mP6 design is going on 12 years old and is still in wide use. While most CPUs have switched to a RISC like design internally. the mP6, and its Vortex86 variants retain the in-order CISC architecture of the 1990’s, and for what it does, thats just fine. Thanks to DMP Electronics for donating the Vortex86DX and PMX-1000!